Mid-Continent Oceanographic Institute (MOI) was founded in 2009 around the kitchen table of two Macalester graduates who were motivated by a discussion of the opportunity gap often faced by Twin Cities students of color. Originally branded as Rock Star Supply Co., we trained tutors to offer in-classroom support in local schools. Many of our original volunteers were involved with the local music scene, inspiring our initial namesake. 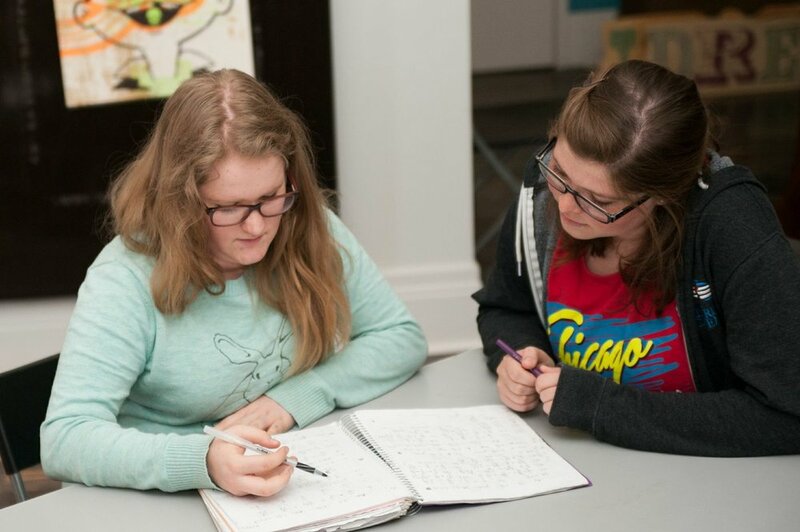 Our five creative writing and tutoring programs emulate Dave Eggers’ 826 National, an organization supporting eight writing and tutoring centers across the United States. 826 National’s philosophy focuses on individualized attention as critical to improving literacy and preparing students for future success. Since 2011, MOI has worked with 826 National to become its newest chapter. Our whimsical, quirky theme models after their eight tutoring centers, all of which have a storefront disguising the center within (826 Valencia’s Pirate Supply Store, 826 NYC’s Superhero Supply Co., and more). In 2013, we worked with 826 National's chapter development personnel to rethink our theme. While Rock Star Supply Co. had been increasing program numbers, the ethos behind “being a rock star” didn't resonate with our student audience as we had hoped. We wanted to be more creative and symbolic in our choice to navigate the Twin Cities' educational opportunity gap. In partnership with KNOCK, Inc., our tutoring center rebranded to Mid-Continent Oceanographic Institute. 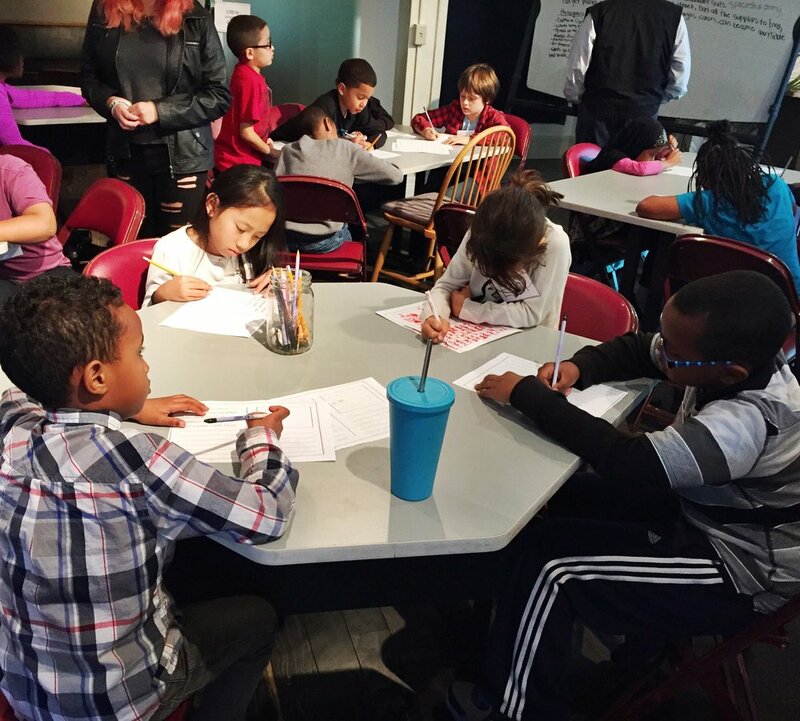 As the premier ocean lab landlocked miles from Earth's great bodies of water, we make up for the distance with our students’ daily deep dives into creative writing and cross-curricular homework. 2010 – In-School Tutoring began at Como Park Senior High, Roosevelt High School, and Bancroft Elementary. 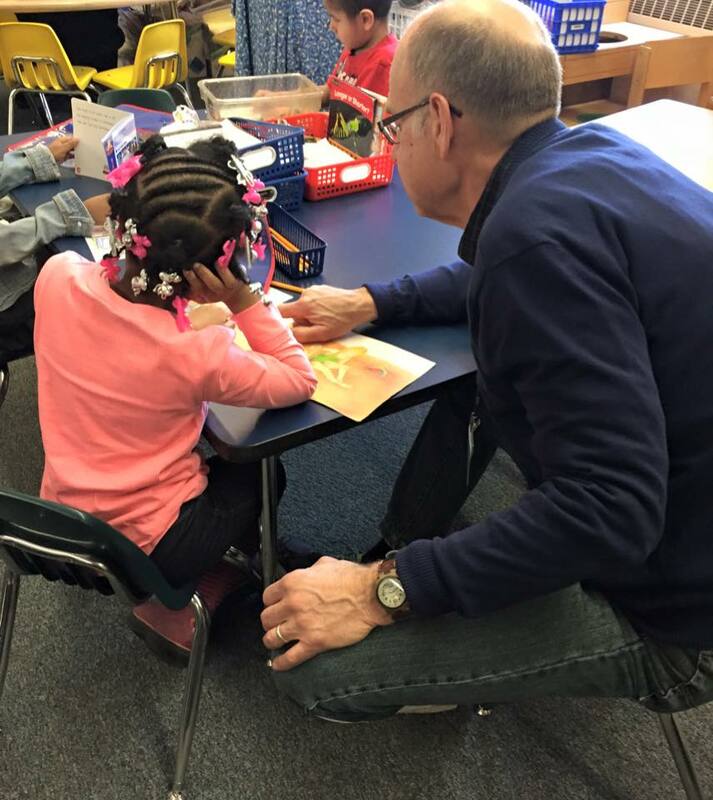 2011 – We proudly served 75 students in the Twin Cities metro area with free tutoring services after our first year of operation with just one full-time staff member. 2012 – With our increased volunteer corps, we tripled the number of students we served in our programs in the 2012–2013 school year. 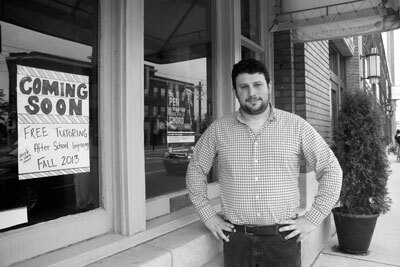 2013 – Chad Kampe was hired as the Executive Director to steer our organization toward a new horizon as we rebranded from Rock Star Supply Co. to Mid-Continent Oceanographic Institute. Our crew also moved into our tutoring space on the corner of University Avenue and Raymond Avenue in St. Paul. 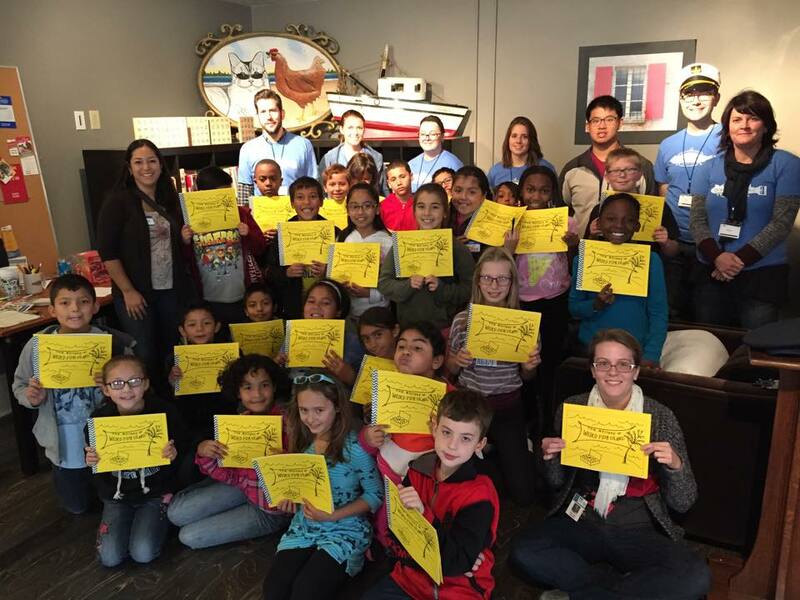 2014 – In the Fall, we launched our Storytelling and Bookmaking Field Trips for students in grades 2–4, in which they write a story for our cantankerous captain and leave with their original story published in book form. 2015 – We welcomed K. Cross to our team as the Program Manager. MOI also hired two AmeriCorps VISTA members to create a staff team of four for the first time. 2016 – Our first Young Authors’ Book Project publication, Up, Up, and Away: Advice and Adventures from the Future Authors and Astronauts of Farnsworth Aerospace, was published after a spectacular inaugural program with Farnsworth Aerospace Magnet School fifth-graders and guest author and MOI Board member, Marlon James. 2017 – We hired Ellen Fee as the Writer-in-Residence, providing specialized, daily writing support to students in After-School Homework Help. Samantha Sencer-Mura also joined our team as the Executive Director, bringing robust educational and nonprofit management experience. We were named one of the “52 Reasons to Love the Twin Cities” and launched our ReVoice Podcast Summer Camp. 2018 – The best is yet to come! As 2018 kicks off, MOI is looking forward to moving to a new space in the Seward neighborhood of South Minneapolis, where we can dive deeper with the communities we serve and continue to grow and expand.